Wholegrain rice, as it is traditionally consumed in Asia, is an entire food in itself, containing all the nutritional elements essential to life. 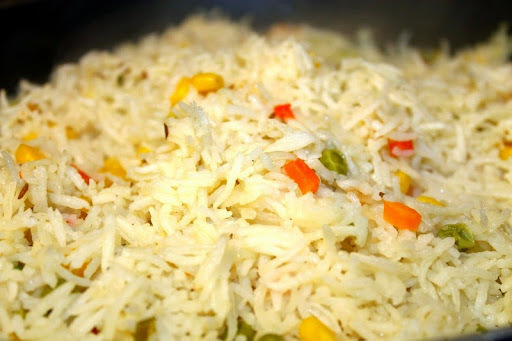 The white rice generally eaten these days, however, is heavily refined, to the extent that it retains hardly any nutrients, except starch, the one thing we could well do without. Ordinary refined rice must therefore be excluded since, just like refined flour, it constitutes a bad carbohydrate with high release of glucose. Wholegrain rice, on the other hand, or even better Canadian wild rice, can be eaten, as long as it is not mixed with lipids, such as butter or cheese. Served with tomatoes (reduced by cooking) and onions, it can make a complete dish to be enjoyed by the whole family. It is a great pity it is so difficult to find wholegrain. rice in restaurants, but this may be due to its slightly unappealing grey-brown colour.